Reflecting upon Paul Seller’s foundations class which I took a year ago, one of the techniques that still holds my fascination is the use of a hand plane to round over the edges of boards. 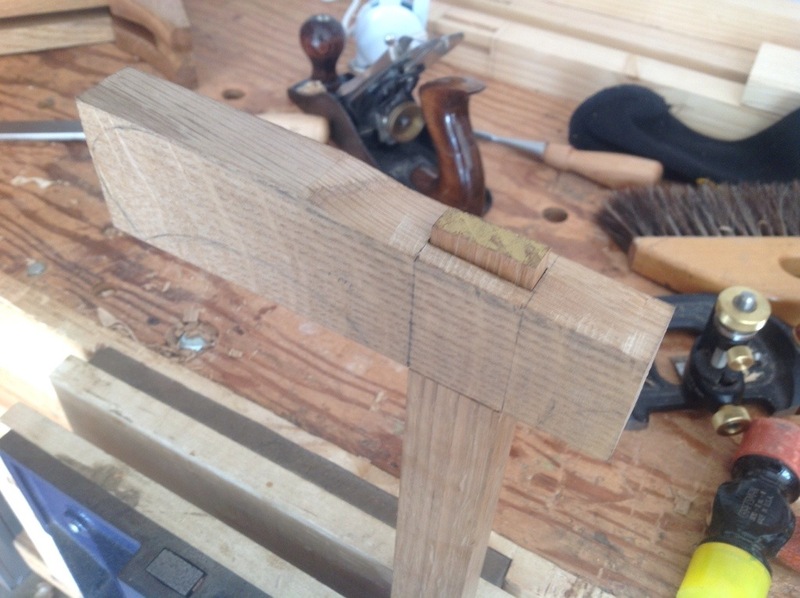 Until Paul showed the technique I could not fathom that a hand plane turned at a 45 degree angle would not cause tear out. 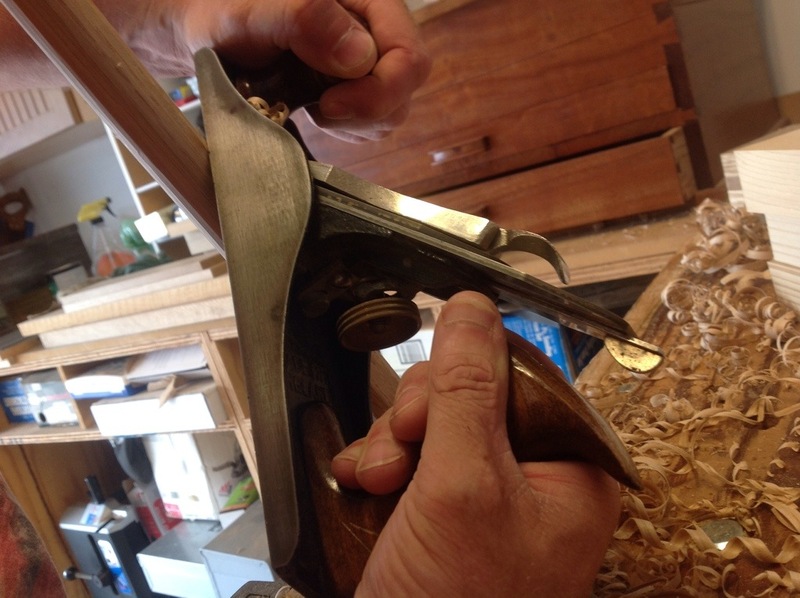 Rounding the cane is another technique that is quick simple and only requires a hand plane. This cane is tapered, round on one end and oval on the other. I simply marked lines on the sides as guides and converted the four sided piece into an octagon and continued working the sides until they are round. It took about 15 minutes. There is final shaping left to do on the handle and the final glue up and wedging (not sure if that’s a word? ), but before that I’m considering whether to shape the cane or let it remain straight. When I began the project I had every intention of creating a spiral, now I am looking at the wood grain and a couple of areas of tear out and reconsidering. Cutting the spiral looks relatively easy but I think with the grain it will be very difficult to smooth. Sometimes less is more and I may just leave the cane straight and let the wood speak for itself. Besides I still have half a stool to complete…. Shaping the handle of the walking cane was fun. I penciled a rough outline onto the sides and began removing wood. 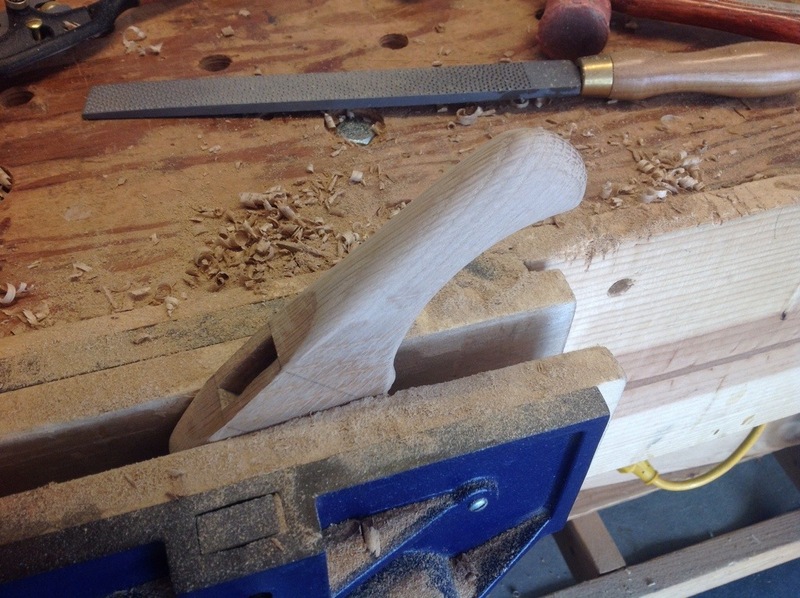 Several tools used in shaping the handle: saw, 3/4″ chisel, spokeshave, rasp and file. Where the fingers grab the handle I used a saw and chisel to remove the bulk of the wood. 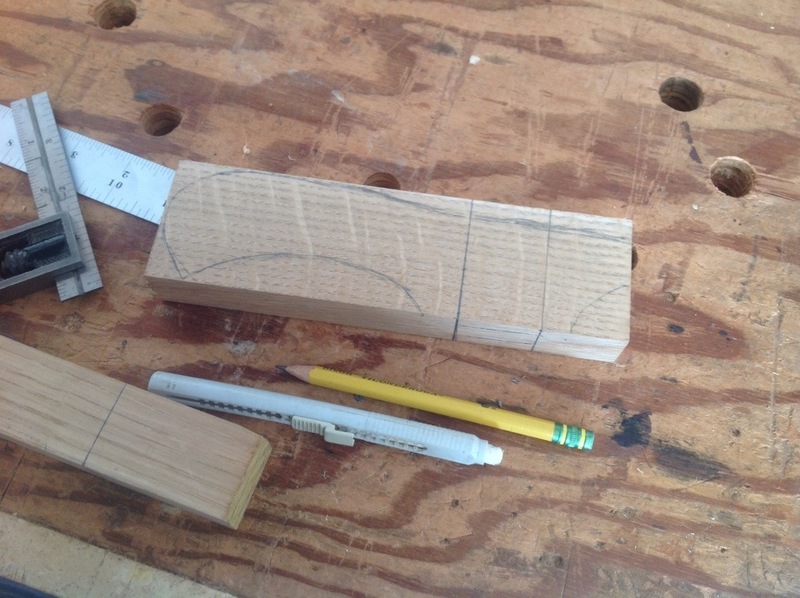 No photographs of this process, but here is a link to previous post (saw vise curves). 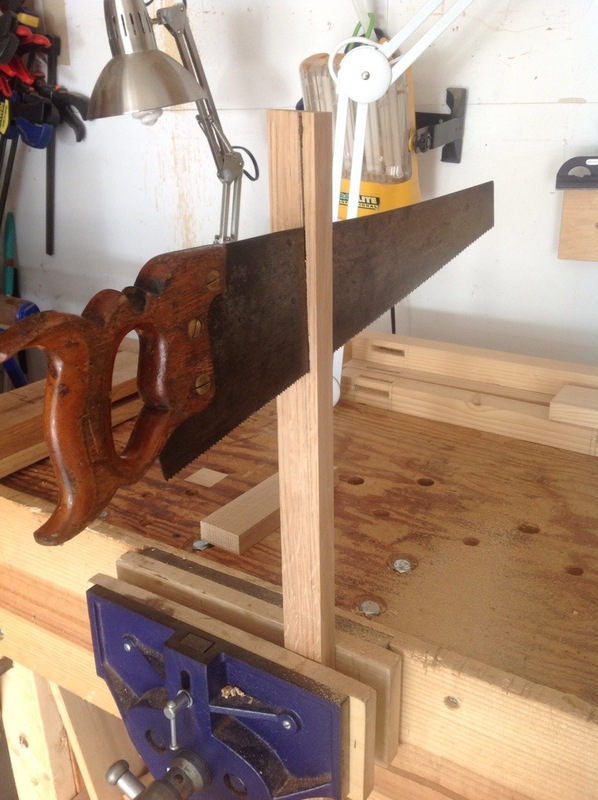 For those of you who like using a coping saw that would work just as well. The remainder of the shaping was a process of removing wood until the shape began to appear and smoothing until it is comfortable in my hand. I had to be cautious around the mortise to ensure a tight fit when the handle is attached. 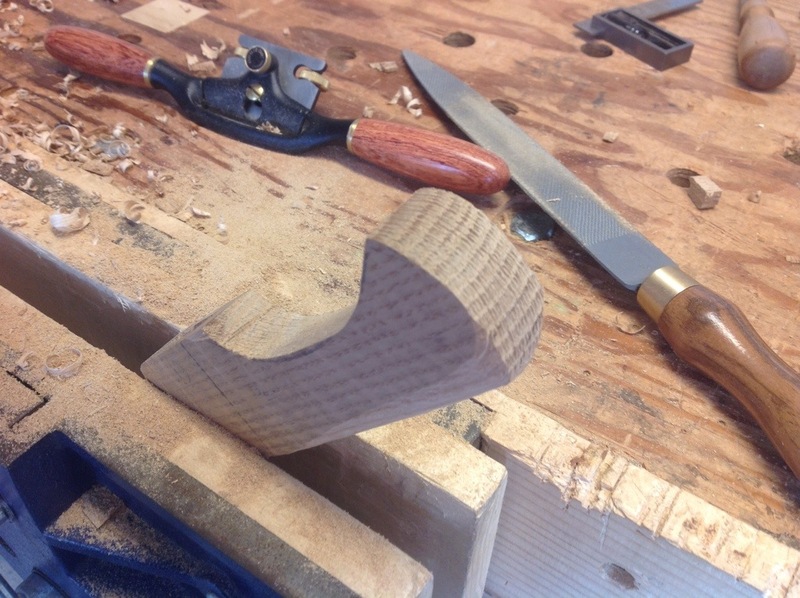 The shape will be refined more when The handle and cane are attached. 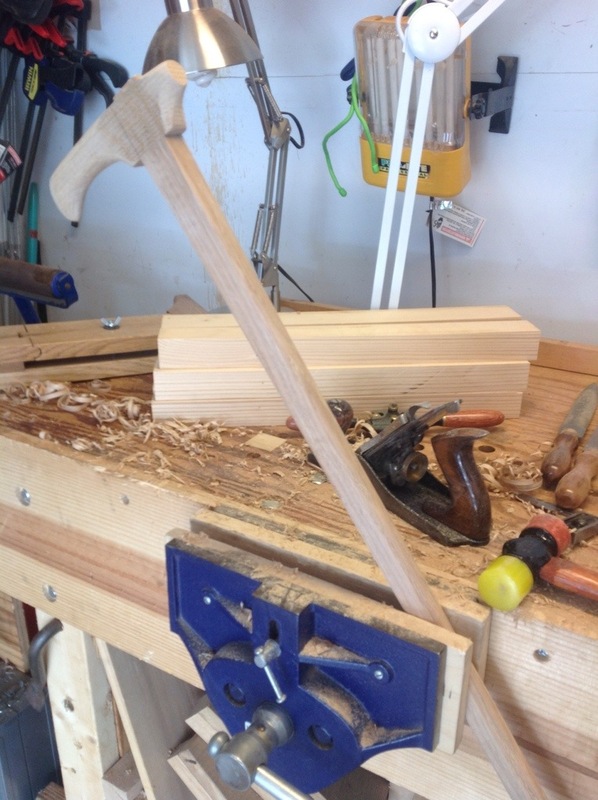 While I was milling lumber for the shop stool, I also milled a couple of pieces of oak for making a walking cane. One of the projects in Paul Seller’s Masterclasses is a cane and the curves look like a great challenge. I have done very little carving and this should be a great project to discover new skills. 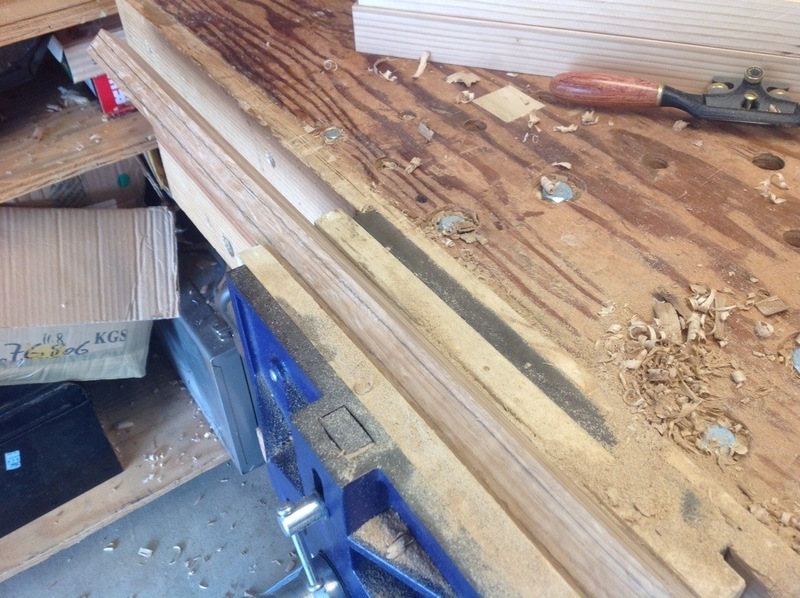 Dimensioning the lumber was quick since there are only two pieces, the handle and the cane itself. The cane is tapered from top to bottom and I used my panel saw to make the taper. This is the same saw that I blogged about a year ago. It is one of the most useful saws I have and is perfect for making cuts such as this tapered cut. Keep an eye out for a used one, you will be very happy with it. After smoothing all of the pieces I roughed out the shape of the handle and located where the mortise and tenon will lie. 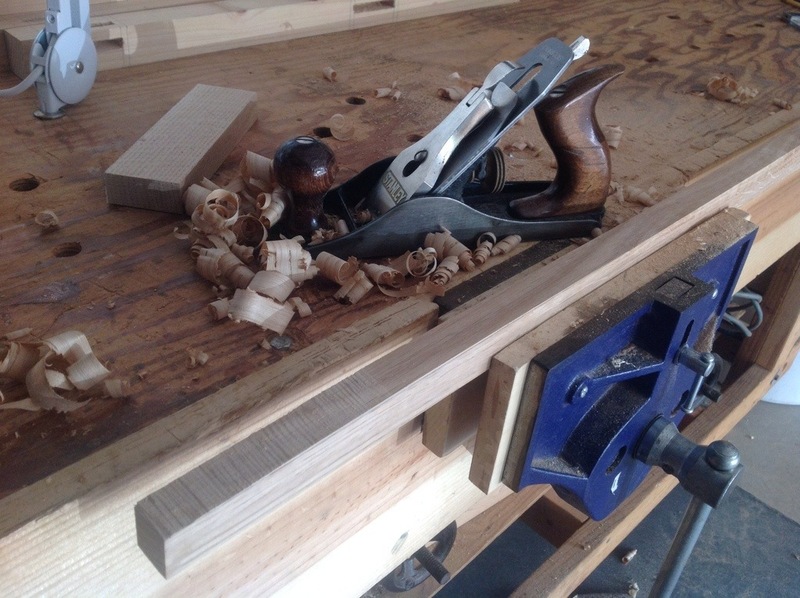 After cutting all the mortises in pine for the shop stool I am glad to be working with oak again. The softness of the pine makes it more difficult to work and much easier to dent.